Dockless bicycles sit waiting for riders in Roosevelt Plaza Park in Camden. The program debuted there last week and Philadelphia officials are looking at the new technology for its bike share program. When Philadelphia rolled out its bike share program three years ago, city officials selected a model they considered "tried and true," one that had proven successful in other major cities across the country. "That said, things always change," said Aaron Ritz, the city's transportation programs manager. "There's always an evolution in technology. I don't think that's slowing down anytime soon. We're seeing a lot of new developments and those are exciting." One of those new developments – so-called "dockless" bikes – just debuted in Camden last week. And it's one that Philadelphia officials are giving serious thought. Unlike Philly's Indego bike share, Camden's bicycle fleet does not need to be returned to a docking station or locked to a bike rack. Instead, riders can simply leave the bikes parked anywhere, thanks to a smart lock attached to the back tire. On Thursday, City Councilman Mark Squilla introduced legislation that would pave the way for regulating a dockless bike program. That followed a formal request for information asking companies to propose enhancements to the Indego program. The Office of Transportation and Infrastructure Systems issued the RFI in January to gain a better understanding of new bicycle technologies and to explore various business models for Indego, Ritz said. The city received 15 responses, including several from dockless bike companies, and has been exploring possibilities. "We're going through a review and revision of our business plan right now," Ritz said. "We've been thinking about how do we take advantage of the best pieces of new technology while keeping the things that we like about Indego and our current system." Philly's Indego bike share program requires its bikes to be locked to docks like this one outside the Philadelphia Museum of Art. Since Indego's inception, city officials have prioritized bicycling equity, seeking to make the program more than a tourist amenity or affluent luxury. They want the program's users to reflect the demographics of Philly's myriad neighborhoods. "It's not just about dropping bikes places," Ritz said. "And it's certainly not about dropping bikes in a tourist hotspot or a Center City location. It's about being in a neighborhood and being embedded there." Yet, expanding a docked program takes time and financial resources. Three years after its launch, many city neighborhoods lack docking stations, and therefore lack access to Indego. But a dockless program – like the one Camden adopted – could change that. "If you have a dockless bike sharing program, you don't have to worry about that," said Randy LoBasso, communications manager for the Bicycle Coalition of Greater Philadelphia. "You can get more people to the bikes in more neighborhoods. You can open up cycling as a form of transportation and recreation in general." Instead of heading to a docking station, Camden riders can find bicycles stationed anywhere in the city by logging onto a mobile app. The bikes – which are outfitted with GPS tracking devices – can be unlocked by entering a code provided by the app. Camden's program will be operated by Ofo, a Chinese company that has launched dockless programs in more than 300 cities worldwide, including Seattle, Dallas and San Diego. The dockless system allows Ofo and its riders to disperse the bikes anywhere in the city. That gives the entirety of Camden immediate access. Camden's bike share program – organized by the Cooper's Ferry Partnership and the Alan Voorhees Transportation Center at Rutgers University – will operate as a pilot program through September. 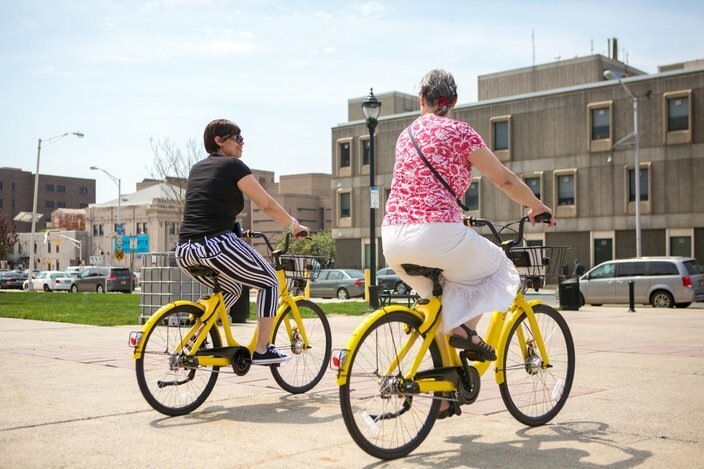 "I think all eyes are on this program," Ofo spokesman Jordan Levine said. "But I think the conditions are there for it to be a great success." 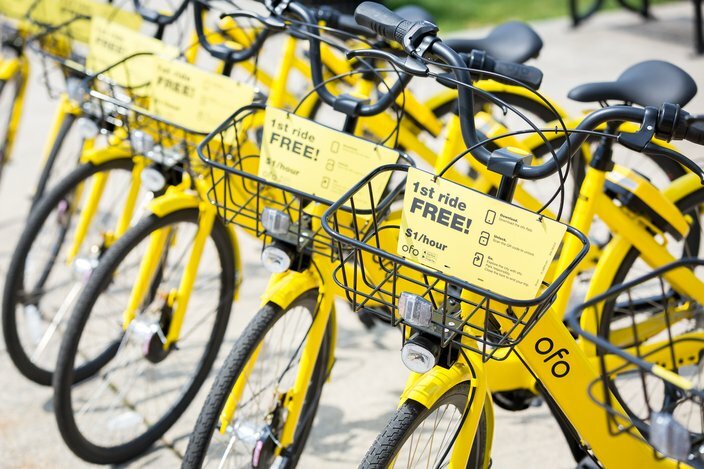 Ofo charges riders $1 per hour – a rate that compares favorably to Indego, which requires riders to purchase one of three longer-use passes. Low-income users can pay $15 to receive an unlimited, three-month access code to Ofa bicycles, thanks to an agreement with Cooper's Ferry. Riders who do not have a debit or credit card can purchase a three-month access code by paying cash. "Camden now has an affordable, but also cutting-edge system," Levine said. "We really want to prove that it can be successful there." Two people ride the Ofo dockless bikes in Camden's Roosevelt Plaza Park on Friday, May 4. Instead of heading to a docking station, riders can find bicycles stationed anywhere in the city by logging onto a mobile app. Dockless stations are not without their challenges. For starters, they require users to own a smartphone. But they also have been criticized for cluttering public spaces and obstructing the flow of pedestrians. That could prove problematic in Philadelphia, an older Northeast city with narrow streets. "You run the risk of people leaving them in crosswalks or leaving them in handicap ramps," LoBasso said. "You just don't want to see that happening." That's why Squilla has introduced legislation that will enable the departments of Streets and Licenses and Inspections to craft regulations for dockless bicycles. "We want to make sure when we have it here that it becomes more of an asset and not something that would become more of a detriment to the streets and transportation," Squilla said. The legislation permits the Streets Department to establish regulations for "reasonable management of the public-right-of-way," including standards for equipment, operations and aesthetics. 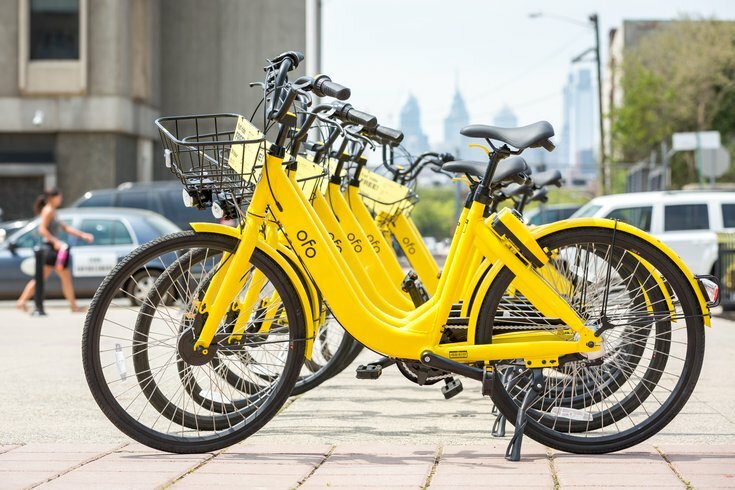 Other cities have found it challenging to impose regulations after establishing dockless bike share programs, Squilla said. In Dallas, which has the largest bike share network in the country, city officials are trying to craft rules restricting the number of bicycles and limiting where they can be parked. They also are threatening to confiscate neglected bikes. Squilla wants Philly to have regulations in place before adopting a dockless system. "As a city that's going to be progressive, I think we have to look at these as opportunities and hopefully get ahead of this so that they'll be more of a positive impact and not a negative impact when they come on board," Squilla said. Additionally, some companies, like Mobike, upcharge users who leave bicycles parked in inappropriate locations. Some private bicycle companies, like JUMP, require their users lock the bicycles to racks, an effort to reduce clutter. But Philadelphia may need to invest in additional bicycle racks if it chooses that option, LoBasso said. "I like the idea of a bike share that has to be locked up against a bike share rack," LoBasso said. Ofo – the company operating Camden's bike share program – has launched bike services in more than 300 cities worldwide. Yet, not everyone is convinced that a completely dockless bike share program is the answer. Dockless accounted for 44 percent of bike share bicycles in the United States last year, according to a report published by the National Association of City Transportation Officials. But those bikes accounted for only 4 percent of all rides. That means there are scores of bicycles sitting unused and cluttering up public space, said Alison Cohen, chief executive officer of Bicycle Transit Systems, a Philly-based company that operates several bike share programs across the country, including Indego. Some cities – like Seattle and Washington – have multiple private companies stationing dockless bicycles throughout town. "For the life of me, I can't figure out how that's profitable and how that's sustainable as a long-term transportation solution," Cohen said. "It's very easy for cities to say that this company is going to come in and bring us bikes. If they're not getting ridden, they're not making money. ... For those of us who have been doing bike share, we're still scratching our heads." Indego is a budget-neutral program, Cohen said. It does not use city funds to support operations, but also does not rake in enough revenue to rapidly expand. The city owns the program and the bicycle fleet, but contracts daily operations to Bicycle Transit Systems. It generates revenue through ridership fees and sponsorships, including one with Independence Blue Cross. Still, it is difficult to turn big profits from transportation systems, Cohen said. That's why she remains skeptical of the dockless bike share companies that have wooed cities with cheap ridership fees and a plethora of bicycles. "It's a very different way of doing business," Cohen said. "I think the city – they definitely want more bikes and they definitely want more bike share." 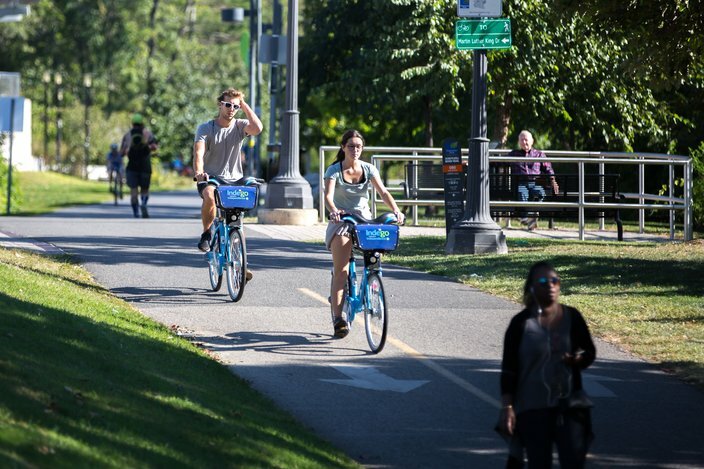 Cyclists ride Indego bikes on the Schuylkill River Trail in Philadelphia. City officials will release a public document outlining their future plans for Indego in late June or early July, Ritz said. Exactly what that looks like remains to be seen. But the city will continue its push to make Indego as equitable as possible, Ritz said. "We'd like to be able to expand to more neighborhoods in Philadelphia," Ritz said. "We'd like to offer better and more resilient service in Center City." Perhaps, the future of Indego could be playing out in Los Angeles, another city with a bike share program operated by Bicycle Transit Systems. There, BTS is getting ready to launch a hybrid system, adding dockless bikes to its fleet of stationed bicycles. "You're not just throwing away the infrastructure or creating two different accounts," Cohen said. "if you have your monthly pass, you have access to these two different bikes." Los Angeles also is working to integrate its bike share program with its transit system so that riders can seemlessly transition from public transit to bike share. 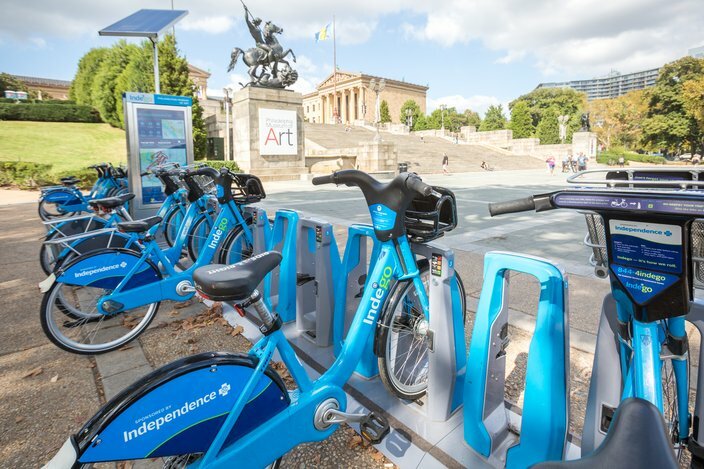 One day, Chen said, perhaps a similar set-up could be established in Philly, allowing Indego riders to use SEPTA Key cards to switch between bikes and mass transit. "That's the kind of thing you're never going to have under a privatized system, especially under a cheap bikes system," Cohen said. For now, Philly is considering a plethora of options. The public will soon find out what city officials envision for Indego's future. "This is wild, wild times in the bike share industry," Ritz said. "It's exciting and terrifying. There's a lot of things going on."